This entry was posted in Homilies on September 28, 2016 by danrooti7. Troparion of St. Cyprian the Confessor: By choosing the Apostles’ way of life, thou hast succeeded to their throne. Inspired of God, thou didst find the way to divine contemplation through the practice of virtue. After teaching the Word of Truth without error, thou didst defend the Faith to the very shedding of thy blood, O Hieromartyr Cyprian. Entreat the Lord our God to save our souls. Eucharist Bread …was offered by the Bakers for the Divine Liturgy this morning. * The second Annual Pan-Orthodox Ladies’ Retreat will be held at Holy Resurrection Orthodox Church in Clinton on Saturday, November 12th. V. Rev. Fr. 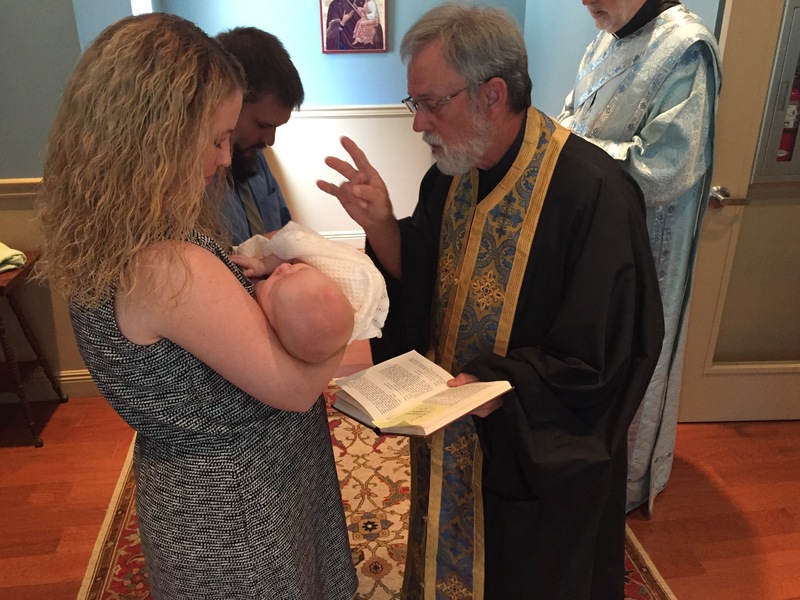 Stephen Rogers, Pastor of St. Ignatius Orthodox Church in Franklin, TN will be speaking on the Theotokos. More information will be available soon. This entry was posted in Announcements on September 21, 2016 by danrooti7. II Corinthians 1:21-2:1-4: St Paul, writing in II Corinthians, reminds us that we are established in God from whom we have received the Holy Spirit as a pledge of what we shall receive in the fullness of God’s kingdom. Troparion of St. Euphrosyne: Through thee the divine likeness was securely preserved, O Mother Euphrosyne; for thou didst carry the cross and followed Christ. By example and precept thou didst teach us to ignore the body because it is perishable, and to attend to the concerns of the undying soul. Therefore, doth thy soul rejoice with the angels. This entry was posted in Homilies on September 19, 2016 by danrooti7. 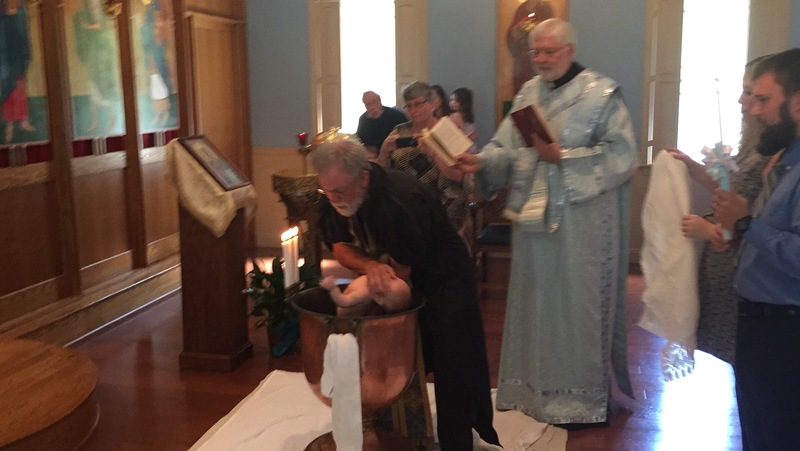 Eucharist Bread …was offered by Karams for the Feast of the Elevation of the Cross this past Tuesday evening and by the Brocks for the Divine Liturgy this morning. 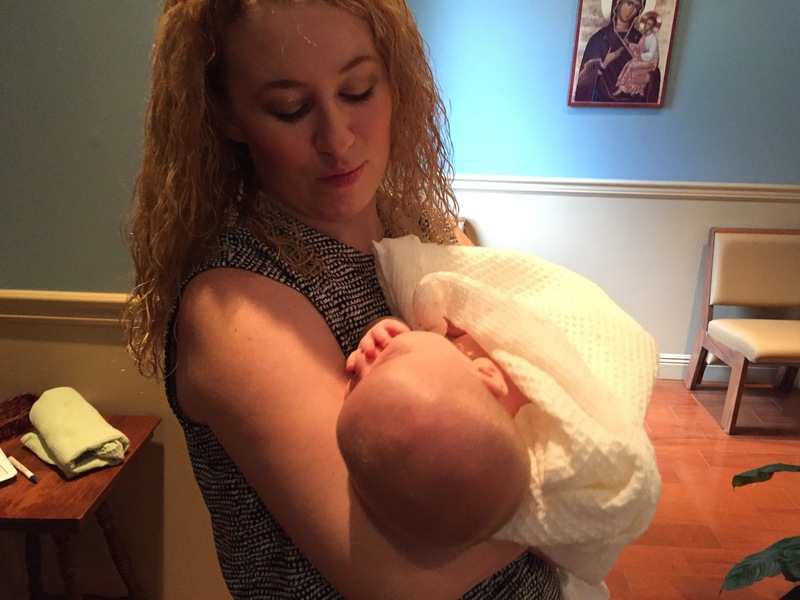 Please remember Tatyana Ruhlinka, a member of Holy Resurrection who has visited our church in the past months. She has been diagnosed with cancer and is staying with the Greaves at the moment. We will taking up a fund to help with some of her medicines. If you would like to contribute, please make a note of her name on your check. In September the traditional fasting discipline (no meat, dairy, eggs, fish, wine or oil) is observed on all Wednesdays and Fridays of the month. September 14th is also a strict fast day in remembrance of the Feast of the Elevation of the Holy Cross. This entry was posted in Announcements on September 14, 2016 by danrooti7. This entry was posted in Photos on September 11, 2016 by danrooti7. Eucharist Bread …was offered by Davises for the Divine Liturgy this morning. The Artoklasia Bread for Great Vespers the Feast of the Nativity of the Theotokos this past Wednesday was provided the Meadows. Welcome and Many Years! 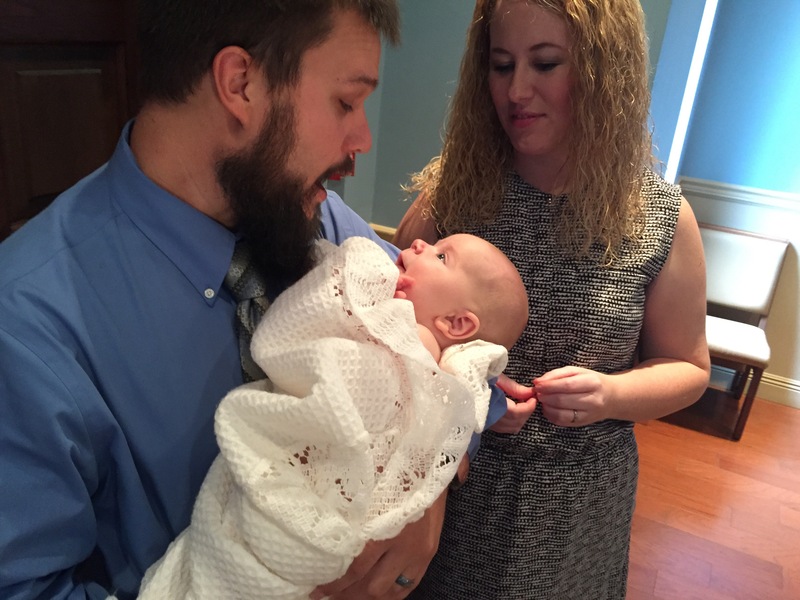 to Evan Root who was baptized yesterday morning! This entry was posted in Announcements on September 6, 2016 by danrooti7.